This is Louie! 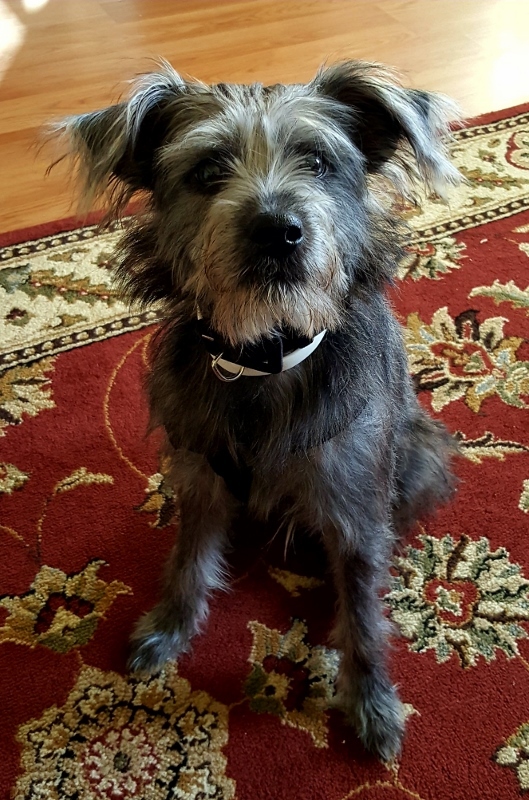 He is a 6 month old Miniature Schnauzer/Cairn Terrier mix and weighs 16lbs (actually, everyone thinks he looks like a miniature Irish Wolfhound!). 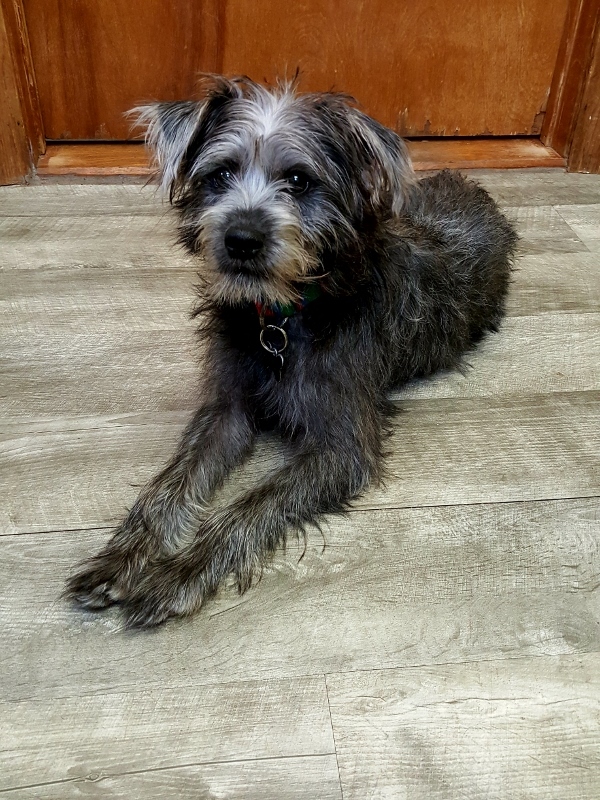 Louie was passed around to several different homes through no fault of his own. Most recently, he lived at the end of a leash, tethered to a doorknob in a kitchen, never being allowed outside. Now safe in our rescue, Louie is quickly learning what it is to be a puppy and is having a blast! He has a lot to learn, but is doing well learning how to walk on a leash and explore the outdoors. Louie is very smart and super food motivated which makes him an eager pupil! 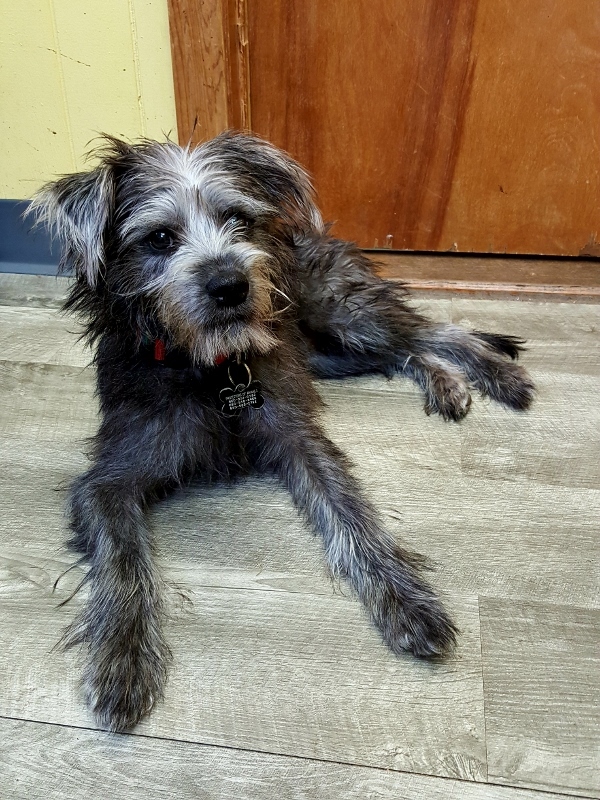 Louie needs a family that will commit to continuing his training (housebreaking, basic obedience) and socialization and who will provide him with lots of positive experiences so that he continues to learn that the world is a fun place! 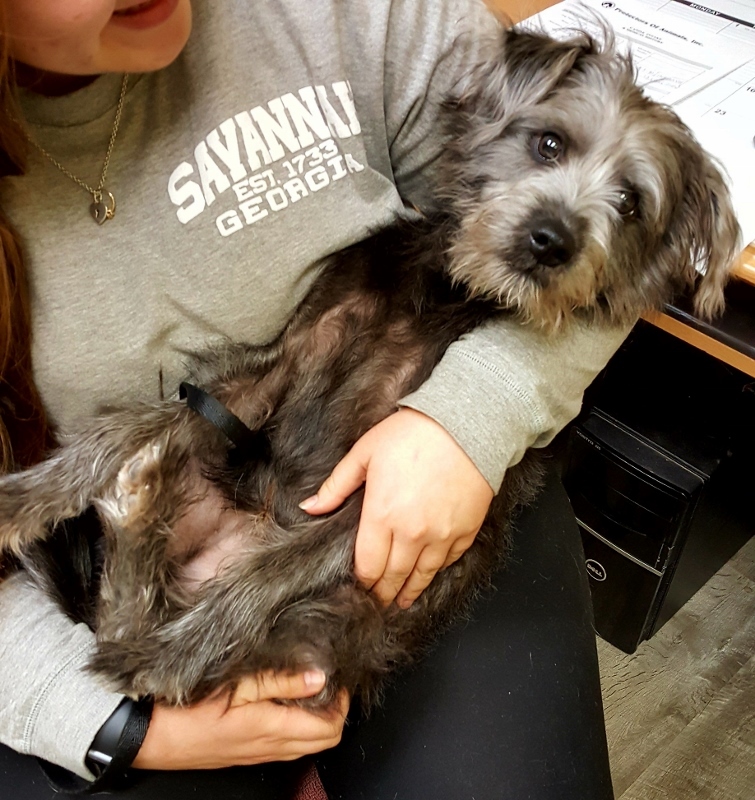 To learn more information about how to make Louie your next 4-legged family member, please contact Michelle at michelle.p@poainc.org.